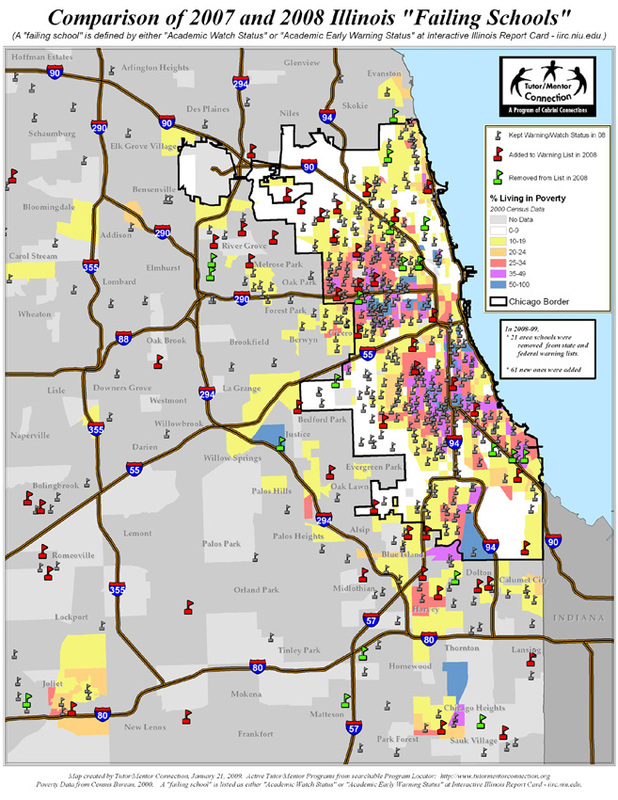 Since so many organizations focus on helping kids, with their own networks, funding streams and strategies, the challenge for big cities like Chicago is to focus everyone on common goals and strategies. While many aim to unite everyone under one umbrella and one set of standards and outcome measures, I’m not sure that is realistic, or possible. I’ve pointed to a wide range of ideas about collaboration, innovation, knowledge management, etc. in the Tutor/Mentor Library and I think some of these ideas might enable us to find ways to work collectively, yet operate independently. 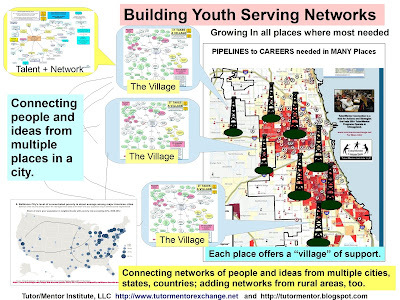 I’ve also been creating maps to help groups in the same geographic areas work together, or to help groups with common goals connect with each other. 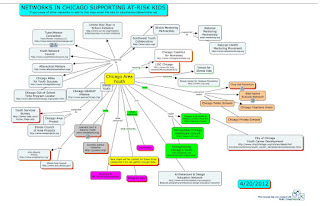 This week I created a new map just to illustrate how many different groups in Chicago are acting in intermediary roles to connect people they know to each other, and to influence actions of the group that affect the well-being of kids. 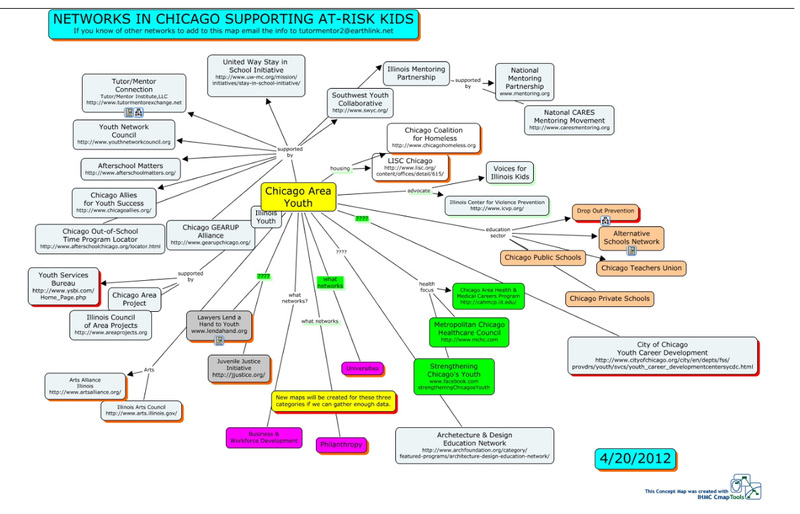 While this map represents a few of the organizations working to help kids, I’m sure it is only a fraction of the organizations in the Chicago region or the nation who need to be connected in what I call a “network of purpose”. Each of the nodes in the graphic below represents a network of potentially many organizations and many resources. Unless someone creates a map showing members of the network, and web sites, they are not connecting their members to each other, or helping leaders and members of other networks connect with to them. I wrote a lot more for this article, but it got so long I decided to try something different. The rest of this article is posted here. Please tell me what you think. Would you like a longer blog article, or do you like being able to open up the article in document format and save it for your files? If you think this is a good idea I'll consider doing this more often. This is a brief recording from a one-hour session hosted by Nellie Deutsch today on WizIQ. Today's Chicago Tribune has a full page story about a three-day World Summit of Nobel Peace Laureates in Chicago this week. 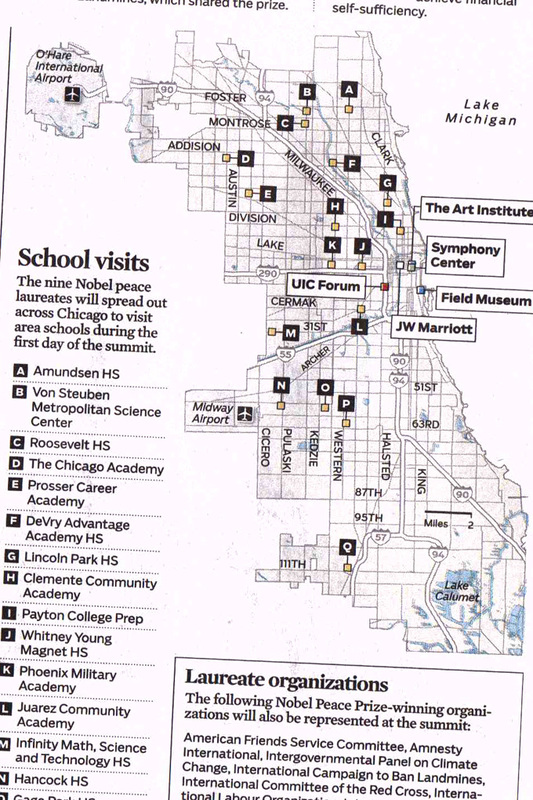 The laureates will be visiting 17 Chicago high schools which are shown on this map from today's Tribune. I've used maps before to illustrate ideas and I've written about the Nobel Prize in the past. 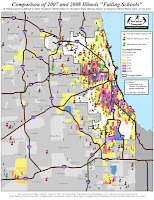 Here's one of my maps showing locations of poorly performing public schools in 2007-08. 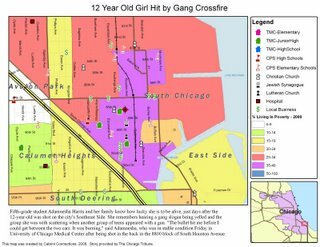 If you make a comparison, it seems that the Nobel Prize winners are going to schools out of the high poverty areas, which to me illustrates the problem we have here in Chicago. The places where kids need the most inspiration from Nobel Prize winners and mentors are the neighborhoods where kids have the lowest performance. I've been participating in a discussion about "empathy" on the Social Edge forum and I've long felt that a volunteer involvement in an on-going tutor/mentor program could be a strategy to increase the number of people who spend time learning about poverty and its impact on violence, crime, poor schools, high rates of incarceration. Such people would also spend time designing new solutions to this problem based on what they could learn from others who are involved in the same problem solving, anywhere in the world. I've engaged interns in thinking about what such a strategy might look like and their visualizations can be seen here and in this forum. 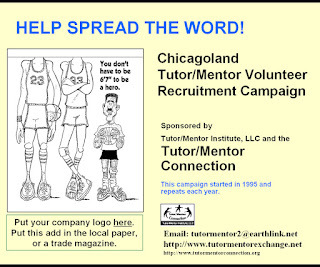 Perhaps as world leaders come to Chicago on a regular basis the Tribune and local leaders might partner with Tutor/Mentor Institute, LLC to encourage more young people (and adults) throughout the Chicago region to generate ideas and strategies that build a larger number of people involved in helping kids from poverty move to college and careers the way this Spark Opportunity Challenge seems to be inviting ideas from young people. An article in today's Chicago Tribune told of how the "well-connected Chicago Cultural Center Foundation, is now in serious disarray and could be headed for closure." Seems that because of the late Maggie Daley's involvement millions of dollars flowed to the charity from philanthropic, business and city hall. Now that she's gone and there's a new Mayor in town, that support has lessened to the point that the charity is considering closing down. 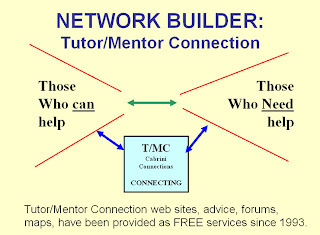 When I started the Tutor/Mentor Connection (T/MC) in 1993 I wanted to generate private support because I realized that no publicly supported social benefit organization could last through the changes of political leadership over time. Even though the Daley machine was in power for over 20 years, it to has ended before the problems of poverty in Chicago have been resolved. Unfortunately I was never able to generate consistent or significant philanthropic investment in the T/MC so now I'm trying to fund it through the Tutor/Mentor Institute, LLC. I wrote this article last spring showing lost opportunities resulting from not being a favored charity. It's great that some charities supported by the Mayor and Mrs. Daley were blessed with philanthropic support over the past two decades. However, the downside is that other charities which may have had good ideas, maybe even better strategies, were not as well supported. I created this video last year with the hope that the new Mayor would use maps and data, and the power of his office, to draw volunteers, donors, dollars, technology, etc. 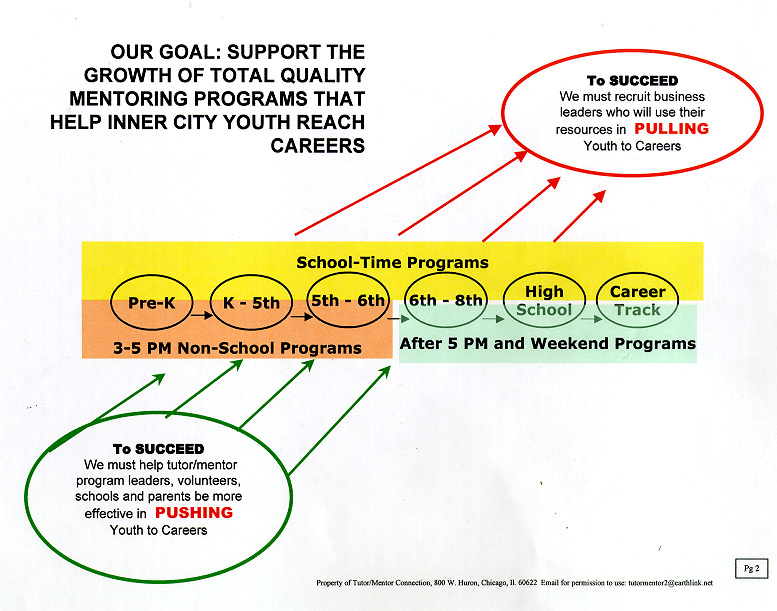 to all of the neighborhoods where kids need help instead of just to a few favored programs. This may be something that's being discussed behind closed doors. Maybe there is a committee of a few business leaders and chosen philanthropic leaders who are talking about this. However, I've been using maps for almost 20 years and I've not been invited into any conversations where people who are thinking of investing new money might ask what I've learned and what they might do to help build on what I've started rather than starting from scratch. There's a discussion about "cultivating empathy" taking place on Social Edge this week. It will be archived so you can visit it any time you find this article. I'd like to see the new Mayor focusing on how he can connect rich and poor, Black, White, and Latino, and people of different faith groups in ways that generate greater empathy and understanding and which build long-term commitment to social problem solving solutions that will last even beyond the time this Mayor is in office...here, or in Washington. April 15-21 is National Volunteer Week when the nation recognizes volunteers for the many hours of service they give. In the articles I've written over the past 7 years I've encouraged leaders in business, religion, health care, higher education, politics, sports and entertainment to support research and development teams who read research showing where and why tutor/mentor programs are most needed, learn the differences between different types of tutoring and/or mentoring programs, and develop marketing strategies that provide on-going operating support, talent and dollars to tutor/mentor programs in all parts of the Chicago region where kids need extra help. The annual Volunteer Week is a great time for those teams to be sharing what they are learning and to be launching plans that increase their support of volunteer-based organizations over the next 12 months. 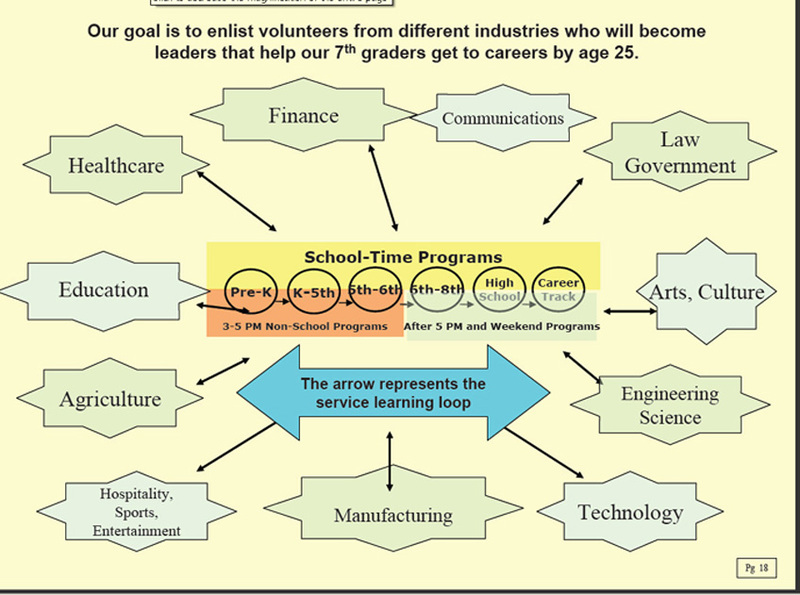 When such teams are available in every industry and civic sector in every city there will be a more consistent flow of volunteers and needed resources to all of the neighborhoods where tutor/mentor programs are needed. 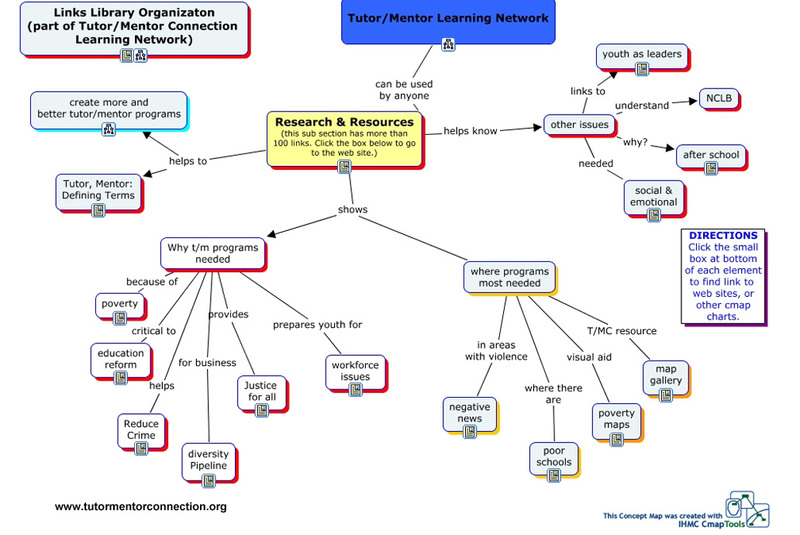 When such teams are connected to each other in on-line learning and networking, and connected to teams in other cities, there will be a much richer sharing of ideas, much greater visibility for tutoring/mentoring and the benefits of such programs, and a we will have much greater changes of sustaining these programs and their connections with kids and volunteers for many years into the future. I spent time this weekend reading part of a report titled Next Generation of Community Revitalization, published by The Bridgespan Group. The report profiled initiatives that are bringing together many different partners in "collective efforts" aimed at solving complex problems. While the report shows good work being done, the report also talked about "significant risks" and listed six. These are issues I've written about often in the past because they are what prevents high-quality volunteer-based tutor/mentor programs from operating in more places and having a greater long-term impact. I've collected a huge library of articles focused on process improvement, collaboration, knowledge management and innovation, but until more people know about the library and are using it, it has minimal value. I've also pointed to articles by Vance Stevens and others who are hosting massive on-going learning communities focused on specific topics. 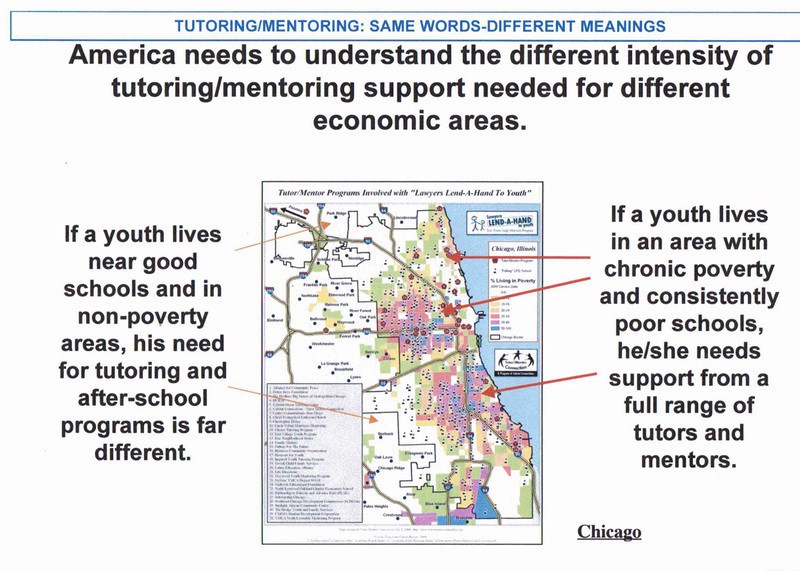 I'd like to find partners who would help build a community that focuses on volunteer-based tutoring and/or mentoring program growth in big cities like Chicago. How do outsiders become "insiders"? How do we get ideas into silos? Who else is talking about this? I did a webnar with the Webheads group yesterday and one participant pointed me to this site, where there are dozens of concept maps illustrating ideas. Browsing through these takes me to the web site where the map is further explained. Today I tried to find some links to groups connecting networks. 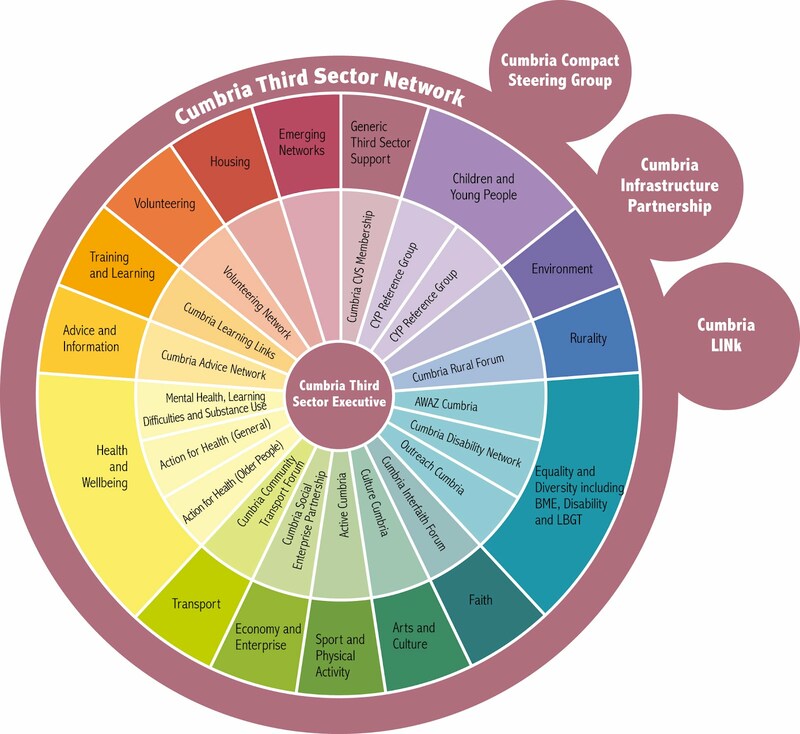 One was the Cumbria Third Sector Initiative which is where I found the graphic used above. However, my Google search also pointed me to a page full of "images". As I browsed through these the "pictures" of some resonated with me more than others, and as I clicked into those, I found new web sites and organizations working to connect networks. Now there are literally thousands of graphics that I could search through, and I don't have the time to do that all by myself. However, there are also thousands of people concerned about the issues that The Bridgespan Group report is focusing on. That means many people could be working together to build a library of organizations that are trying to bring people together and do more to overcome the challenges facing non profits and social entrepreneurs working to solve complex problems. If you're interested in this, search the graphics yourself. If you find some new organizations connecting networks or trying to break down silos, why not write about them in your own blog and send me a link. 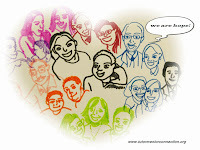 This photo was posted this morning at Learning2Gether:The Podcast. 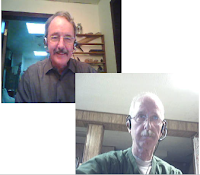 In the article Vance Stephens (shown in photo with me) describes the session we co-moderated yesterday in the Learning2Gether portal. Vance says of the session: "Dan talked about how he conceives channeling knowledge into action through a 4-part strategy he articulated through mindmaps and other visuals. His work has a lot in common with that of Webheads, MOOCs, and EVO (which I have argued possibly IS a MOOC) in that he taps cognitive surplus to leverage volunteer effort while trying to scale and sustain through getting the attention of (i.e. the information out to) the business community to show them how their interests coincide with those of the Tutor/Mentor Institute." I hope that some of you will take time to listen to this, or to browse the articles I've posted at http://www.scribd.com/my_document_collections/3299390 and in the Tutor/Mentor Institute, LLC library. These articles show the role intermediaries can take to support entire networks of organizations working to help kids in poverty connect with extra adults and learning opportunities that help them move through school and into jobs and careers. I hope these ideas will be adopted by leaders in many places, and that some will step forward to help me build the Tutor/Mentor Institute, LLC capacity to further develop the social innovation platform needed to support this work. Increase in homicides. What is root cause? An increase in homicides in Chicago from 2011 to 2012 was the focus of a feature in today's Chicago Tribune. 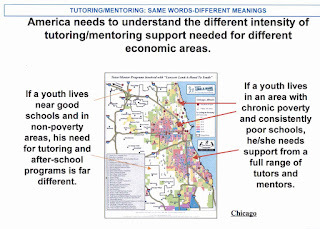 I've written about such stories often in the past, in an effort to mobilize more support for the growth of volunteer-based tutor/mentor programs in high poverty neighborhoods. 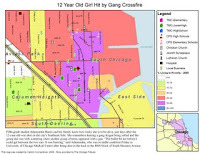 However, every time I read of a shooting, I wonder how connecting a mentor in the life of kids in that neighborhood can have a direct impact on the current level of violence. It causes me to ask, "what is the root cause" of this violence? So I've begin to look for web sites which talk about "root cause analysis". I've listed a few below. I encourage you to add your own. In my search for concept maps I learned about this link where you can search the C-Map library for maps that have been created. I'll add a link to this blog article in the library I've been creating. Each of these nodes points to web sites with in-depth information that people can learn from, building their own understanding of the root causes of poverty and urban violence, along with possible long-term solutions. You can find this map at this link. 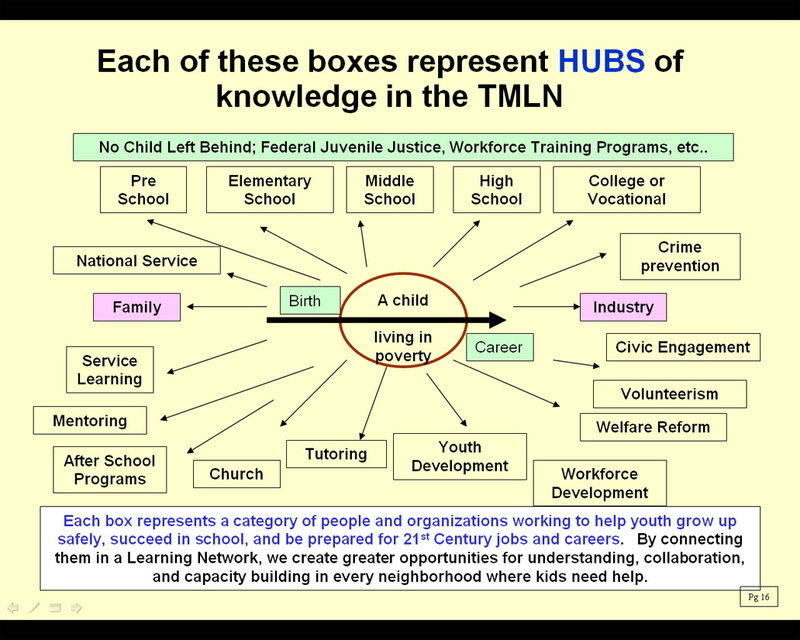 All of the articles I've written since 2005 aim to mobilize leaders from many sectors and many cities who will apply ideas I share in essays like ROLE OF LEADERS in efforts to make mentor-rich learning programs available to k-12 kids in more high poverty areas. Here's a 100 Minds from Around the World page hosted by STEELCASE to celebrate their 100th year anniversary, where 100 leaders are talking of their vision for the future. 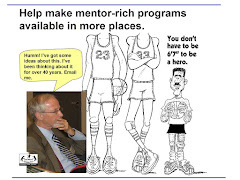 Can we find a sponsor who will recruit similar leaders to talk about their vision for how we make mentor-rich learning programs available all over the country, and keep such programs in place for a few decades so they all grow to be great and they all have greater impact on kids moving through school and into 21st century jobs and responsibilities? Can such leaders use this "year round strategy" to help focus messaging on different topics as we move through the year? I'm sure this is already happening in some places. Share the links if you know of such examples. Often I learn to understand what I've been doing by seeing how others present similar ideas. Over the past few years I've followed many people who share ideas in a variety of blogs, web sites, videos, social media sites, etc. I've pointed to many on my own blog and web site and even collect some of the links in my web library. Over the past year I've been learning about Massive open Online Courses (MOOCS). Rather than trying to give you a description of my own, I encourage you to view this video then visit this CHANGE.MOOC.CA site. Without knowing it, I've been creating a platform of information and ideas that is waiting for a team of facilitators to turn it into a MOOC. 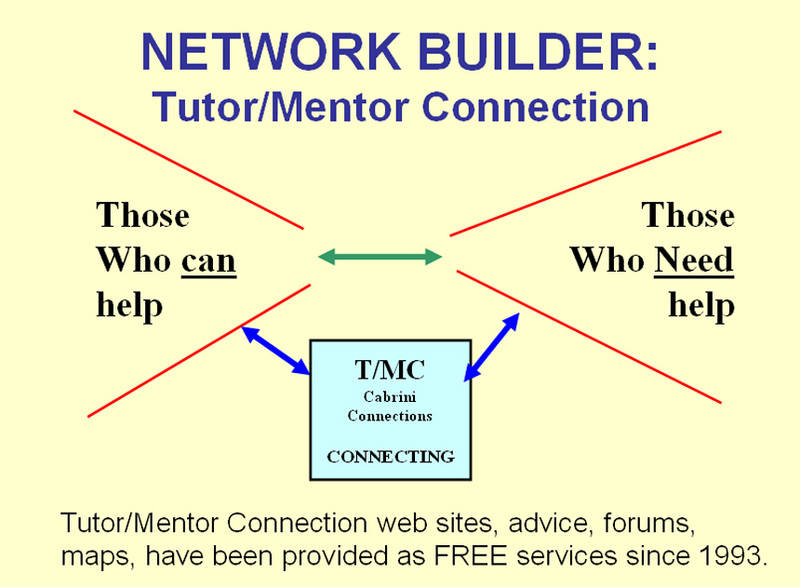 This video describes many of the strategies of the Tutor/Mentor Institute, LLC and Tutor/Mentor Connection. It shows a way to connect people from different places and different networks in on-going learning that they can use to understand poverty and its impact on youth, families and communities, and to learn strategies working in some places that could be applied in other places. 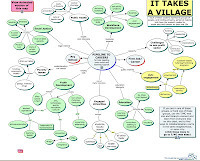 I've used this graphic often to illustrate the "village" of people who need to be involved in this on-going learning process and in strategies that help kids in poverty areas have more of the support systems needed to move through school and into adult responsibilities. In several past blog articles I've written about "silos" where groups focus on their own issues, with their own ideas, and their own limited membership. Chicago and other big cities are full of silos. 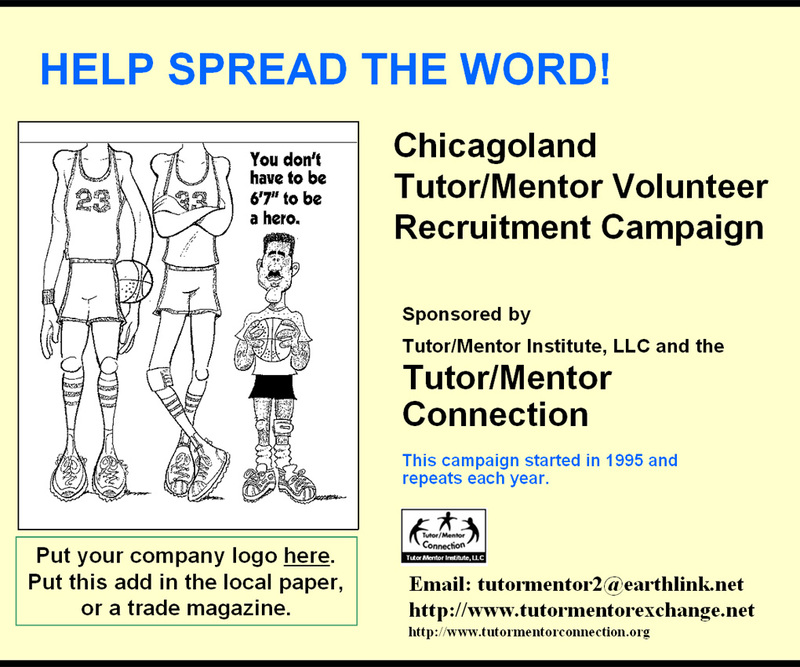 Chicago has more than 200 different youth serving organizations offering various forms of volunteer-based tutoring and/or mentoring in non-school hours. Each one is forced to be a "silo" because of how they compete for dollars. Yet, each also has common needs. Connecting together in a MOOC type of process, and engaging volunteers, alumni, business people, philanthropists, etc. 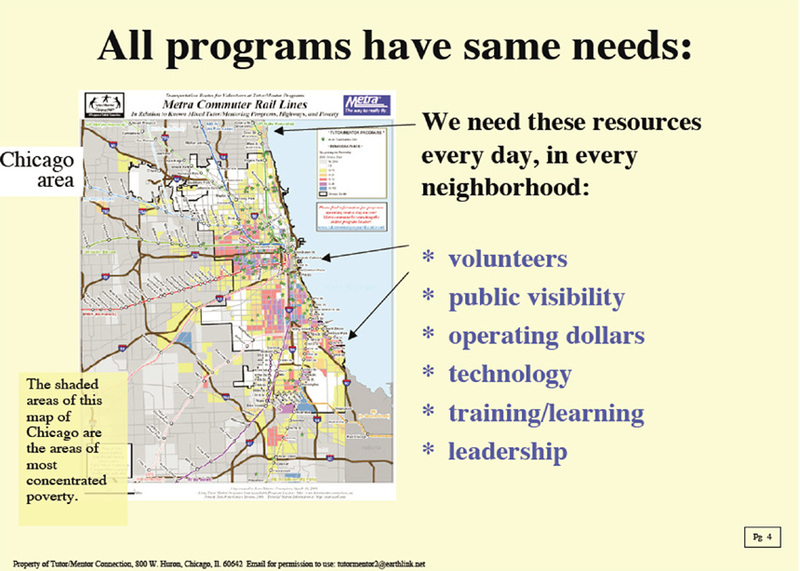 might build shared commitment and new strategies for generating and distributing these resources, leading to constantly improving programs in all parts of an urban area. Until we find ways to connect youth, volunteers, leaders, donors and policy makers from each of these different organizations and from business, religion, philanthropy, higher education,government, media, etc. we'll never have consistent strategies reaching young people in all poverty neighborhoods with best-in-world strategies learned from this world of ideas that can be found through the Internet. I point to more than 2000 different web sites from my own sites...and these point to other web sites with even greater levels of information. It's the information overload that David Comer talks about in this video about MOOCs. While I record more than 8000 visitors and 150,000 page views on my own web sites this is just a fraction of the people who need to be involved in this on-going learning. While I have the vision, I don't yet have the ability to organize and lead a MOOC that connects big-city stakeholders in on-going learning that draws from all of this information in the ways the video above describes. Yet, if you look at the structure of the courses on CHANGE.MOOC, perhaps the blog I've written since 2005 could be considered a MOOC! It's open to anyone in the world. In needs more facilitators. New organizations keep sprouting up in Chicago with new sponsors and new donors putting up hundreds of thousands of dollars. They are reinventing the wheel and the cost of accumulating all of this information and building a network of people to share it will be overwhelming. I keep looking for sponsors and partners who will build an sustain a MOOC focused on the information already aggregating and the process I describe in this 4-part strategy. Longer School Day in Chicago? While the Mayor, the Chicago Teacher's Union, and parent groups debate the merits, costs and content of a longer school day, what library of information and ideas is available as a central resource for everyone learning about ideas which could be applied to make what happens at school more transformative for kids? Here's a video that was shared by friends in a Facebook group that focuses on education. It shows a strategy being implemented in a suburb of Tel Aviv, Israel. I've been aggregating links to web sites that share information about education, poverty, social capital, drop out issues, etc. so that learning circles in business, faith groups, community organizations, etc. could draw from this information in weekly discussions and on-going learning that would result in a wider range of ideas, a more sophisticated understanding of the problems, and greater innovation and commitment to shared solutions. When the media do full page stories talking about one part of the education puzzle, readers should know where to go to find more information related to this issue so they can build a more informed understanding of what is a complex problem and requires a long-term solution and the involvement of many different sectors, not just teachers, students and parents. I don't attempts to point to every education and learning resource, but try to find others who provide greater depth in their own on-line libraries. If you're collecting this type of information and leading on-line and place-based discussions, share your web site with me. I will be hosting a one hour session in the on-line Learning2gether portal this Sunday, April 15, 2012 at 15:00. This is the description of the session: Dan Bassill of the Tutor/Mentor Institute, LLC will describe the four part strategy he has developed to support the growth of a mentor-based youth-development strategy and how it might be applied to problem-solving process in any social sector and in any country. Dan will also talk about how youth in high schools and colleges can take a significant role in this process and how this will enhance their own learning, problem solving and communications skills while also creating future leaders who are better prepared to solve social and environmental problems via world-wide learning and collaboration. 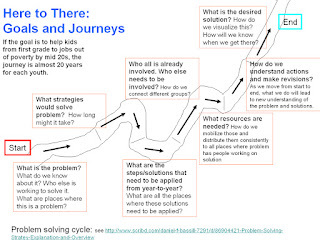 Dan says "While I apply this strategy to what I do to help kids in poor neighborhoods of Chicago, I feel the model applies to any problem solving effort." You can review the 4 part strategy at http://tinyurl.com/TMC-4-Part-Strategy. If you have not used Elluminate, I encourage you to log in early and get your computer set up. This is FREE but you will need to register. 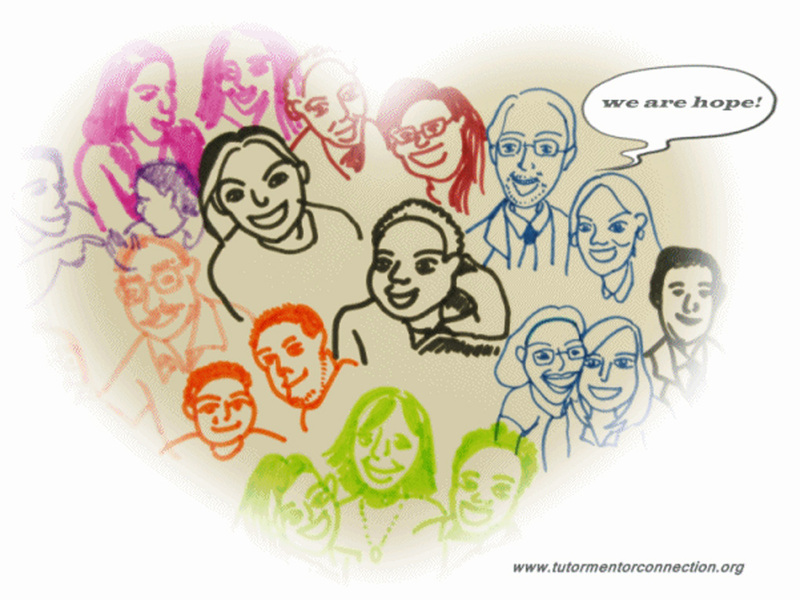 I hope that we can continue this discussion on Facebook and in the Tutor/Mentor Connection on-line forum. Since this weekend Christians celebrate the death and rebirth of Christ, and thus the beginning of the Christian religion, I was prompted to create the graphic below. Imagine that you were one of the 12 Disciples and you were in a planning meeting where someone said "What was it that Christ wanted to accomplish?" Another might have said, "What do we know of this problem and what ways might we spread this vision to people throughout the world?" Another might have said, "Where will be two thousand years from now, and how will we know if we have achieved what we set out to do? We have many problems in the world of 2012 and many different people in different places working to solve those problems. However, where can we find web sites that describe each problem, along with the strategies, steps and timelines that would lead to a solution. And how is that solution defined or described? Yesterday I was introduced to a web site of a group titled Data Without Borders. I encourage you to view the video on the home page, which describes how data can help us define and understand problems and how data scientist might volunteer time and talent to help organizations with limited resources and talent apply these skills. The graphic I've posted shows a need for all sorts of data collection, organization, visualization, analysis, and sharing. I've piloted some efforts with mapping, which you can see in the Tutor/Mentor Program Locator. I've piloted some efforts at network analysis, which you can see in this blog and this group. I've even piloted a platform where many people could document their actions over a period of years. 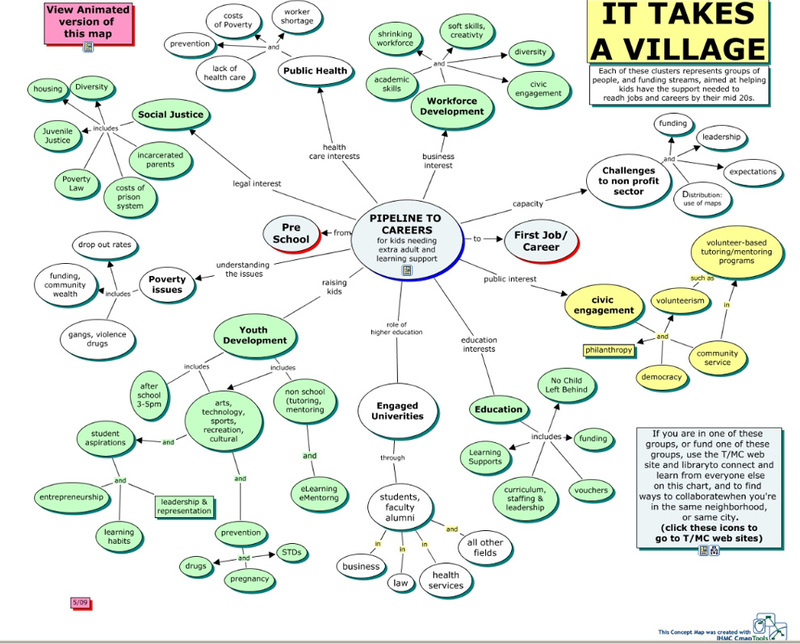 I've piloted the use of concept maps to organize and share information. However, there is much more that needs to be done and much more talent and time that needs to be invested in just building a platform to support the collective effort of many people working to help kids entering first grade today in poverty neighborhoods of Chicago and the world be starting jobs and careers out of poverty by their mid 20s. The video below was sent out via this message earlier this week encouraging people to participate in a "pathways out of poverty" game. This is a tremendous call to action which if played in every faith community on the planet every three months might inspire many more people to look for ideas and places where they can connect. Congratulations to the organizers of this event! For the millions of people in the world who have strong religious beliefs Easter weekend is one of the most powerful celebrations of the year. Millions of people around the world will gather and renew their faith over the next few days. I've written about this almost every year since 2005 so instead of writing a new story, I encourage you to read some of the articles I've written in the past. I could have created a brand new article, but I' only be repeating the same themes that I've talked about in the past. I don't think the Christians create a new Bible every year. The scripture and themes that will be in sermons this Sunday will be the same scripture and themes that faith leaders have pointed to for over 2000 years. If you click into some of the tags on the left side of this blog, such as poverty, public health, violence, etc. you'll see that the level of suffering in the world has not changed in the past year. The only thing that has changed in my own activities is that I no longer am leading the Cabrini Connections tutor/mentor program and now operate under a different tax structure than in 2011 and the previous 20 years. I miss the direct involvement in a tutor/mentor program, but not the stress of trying to find funding to keep the bills paid and the program operating from year to year. I have even less cash coming in now than before but I'm only responsible for myself and my family. I'm still depending on others for the money and talent needed to keep the Tutor/Mentor Connection operating. In the Easter article I wrote in 2008 I talked about the "Give us this day our daily bread" part of the Lord's Prayer. I still look for this "daily bread" as well as a "bakery" that might provide enough "bread" to help me build out the ideas of the Tutor/Mentor Institute and provide more consistent daily operating support and talent to thousands of small volunteer-based tutor/mentor programs operating in neighborhoods of Chicago and other big cities. I do a lot with a little. I've been blessed in many ways because of the work I do. Many young people and volunteers have also been blessed because of the tutor/mentor programs I've led and that are led by others. I have hope that in the coming months others will step forward with the talent and resources needed to continue to do this work. Note: the graphic in this article was created by one of the Korean Interns who worked with me in January/February 2012. Read about this project here. Infographic - Can Tech Save Education? Potential use of technology and on-line learning. 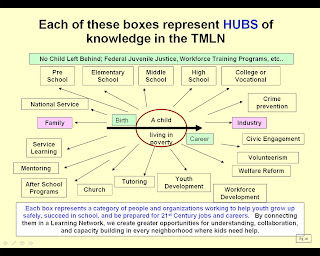 Role of Intermediaries and Knowledge Networks like Tutor/Mentor Institute, LLC and Tutor/Mentor Connection. This New York Times blog article about the Planet Under Pressure conference contains a Debategraph map that outlines the topics of the conference. I've written about the need for massive online learning communities to connect people interested in poverty, education, workforce development, racial justice, etc. with information and networks of people in an on-going learning process that leads to better understanding of issues and more direct action by people, organizations and governments. I've also set up this discussion on Debategraph, thanks to the help provided by David Price, one of the co-owners. I feel there's a link between what I'm focused on and what the environmentalist focus on because the ability to learn and understand issues and develop innovative solutions is at the heart of any ability of a world society to solve problems that cross borders and affect people in all parts of the world. I encourage you to visit these and follow the discussions. I think the challenge will be to find facilitators who will lead people into parts of these maps, and lead small group discussions of the information in each section in an on-going and organized way that builds an overall understanding and leads to more people using the information and ideas to work locally and globally to solve these problems. 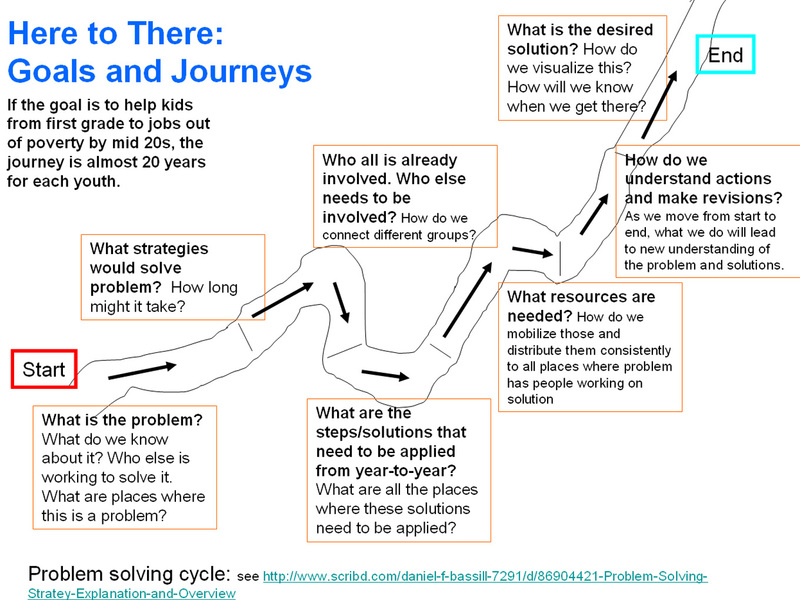 If you know of any reporters who'd want to add the "mentoring kids to careers" map to their media blogs, please encourage them to take that step. If you have some experience with Debategraph, or similar formats, please share your thoughts. Around the world Christians will be celebrating Easter this week. Tonight college basketball fans will be doing their own form of celebrating, as the national championship is decided between Kentucky and Kansas. Then later this week a new Major League Baseball Season starts. In total these events will attract the attention of millions, perhaps over a billion people. As you reflect on these events, think with me of ways we might attract a fraction of this many people to read articles about poverty and how it affects education, public health and even our country's future well-being. I've written over 1000 articles over the past 6 years, and tagged them under topics like "leadership, complex problems, education, violence, media, innovation, collaboration, etc." In these I point to research and I point to strategies, that groups of people might adopt in their own efforts to create a future where there is more hope and opportunity for those who are most oppressed in our world. For instance, in this set of article I talk about a "battle plan for a war on poverty". In this set of articles I talk about how "unmet social needs worsen poverty"
In this set of articles I focus on "learning" not in the context of teaching kids reading, writing, and STEM education skills, but in teaching adults more about ways they can use their own time, talent and wealth to solve some of these problems. I integrate maps into numerous articles, intending to inspire strategies that draw resources into all places where poverty is a root cause of other evils. Religious traditions date back for centuries, and events like Easter encourage reflection and re-thinking of habits and values. Great basketball and baseball teams are the result of years of hard work and training by players, and coaches, along with huge investments in infrastructure by universities and sports franchises. Unless we find ways to engage millions of adults in on-going learning and personal involvement in issues related to poverty, the environment, racism and other local-global issues, we will not have the commitment to long-term "good to great" solutions in all the places where our maps show where problems need to be solved. I'm just a small voice pointing to big ideas and a vision of a future that we might have if more people work hard to achieve it. I did not win the Lottery this week, so I'm still looking for benefactors, friends and sponsors to help me raise this voice to a higher level. If you want to help take a look at this page.